HONG KONG (MarketWatch) -- Hong Kong Disneyland aims to further expand the theme park, on top of the expansion approved earlier this year, because of the planned opening of the Shanghai Disneyland park, the Hong Kong Economic Times reported Monday, citing an unnamed source. The theme park, 52%-owned by the Hong Kong government and 48% by Walt Disney Co. (DIS 30.35, -0.26, -0.85%) , aims to complete the second expansion by 2015, when the Hong Kong-Zhuhai-Macau Bridge is scheduled to be completed, the paper reported the source as saying. In July, the city's legislature approved a plan by Walt Disney and the Hong Kong government to expand the park in phases over five years. But spokeman for HKDL denies the rumor today, due to the fact that negotiation for 2nd round of Expansion between HK Gov and WDC has not started yet. by denying the rumor, the spokeman for HKDL indirectly admit that there might be another expansion on top of the approved expansion earlier this year. All I now is there's a forth expansion plot due south of GT. And a gigantic multi-hectare of land adjacent to the park perfect for hotel space,a Disney Village and maybe a satelliting second gate. Walt Disney Studios Hong Kong has a nice ring if you know what I mean. A fake movie studio? 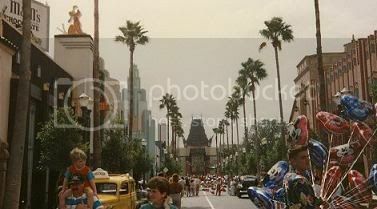 Lol, only Sunset Blvd.. and the entrance to WDS are any good. Only if it's not a "FAKE" movie studio, but a real facility where they shoot a lot of "Hong Kong" movies, Disney and non Disney productions alike could rent and use the new state of the art facilities. The Disney MGM project could actually work here. If it's a fake studio, don't bother. I'm just saying Studios cause I doubt they'll get Epcot. they could always go with a disneysea since it is right on the ocean. Hopefully this proves to be true; it is interesting that Disney is spurring competition amongst itself though. I hope to attend HKDL by the end of its expansion . I have no reason to go to it now. Im also hoping Shanghai will be a fulls day worth by the time I decide to visit, but I doubt it will be that way when it first open. Hong Kong Disneyland (Hong Kong Disneyland) Monday denied allegations that its planned expansion of the second round of reports, the first LUN expansion project in July this year the Hong Kong Legislative Council (Legislative Council) approval. "Hong Kong Economic Daily" Monday quoted unnamed sources as saying that Shanghai Disneyland affected by the scheme by the Hong Kong Disneyland plans further expansion. Hong Kong Disneyland spokesman Lo Bing-Chung said the company's two shareholders have yet to discuss matters relating to the second round of expansion. Hong Kong government and Walt - The Walt Disney Company (Walt Disney Co., DIS) theme park were holding the 52% and 48% of the shares. The spokesman said Hong Kong Disneyland is now focused on building the Hong Kong Legislative Council in July approved by the three theme park. Hong Kong Legislative Council passed in July this year, Walt - Walt Disney Company and Hong Kong in the next five years, Hong Kong Disneyland expansion plans. I think the second gate could be a "Marveland". This will be new and unique among all DLs, it will appeal more to boys as well. I think HKDL does have plans for a third hotel. since the other two hotels are enjoying high occupancy rates. As far as I understand it is not part of the expansion plan and will be financed by Disney alone. I think actually it will be really interesting if Disney partner with a local private hospital and open a Disney Children's Hospital at the site. The cheer that Disney can bring will help the poor children's recovery. The HK and Chinese parents are willing to pay a bit more so long that the children are well taken care of and Disney can do that. I personally dont think Marveland is a good choice. DisneySea is definitely a better choice. Anyway that's only my opinion. With the latest expansion this park and entire resort has enormous potential. the grounds are great and the park itself is beautiful and once these rides get put in, another park would put it in competition with Tokyo. Too bad the current Disney management is too cheap for anything like that to happen. Why build another DisneySea in HK? It will just draw comparison with TDS and it will end with comments like: "It's too small, it hasn't got enough attractions, Tokyo is better, this part is new..." etc etc. It will also mean Japanese visitors to HK, for which there are many, will have less incentive to come to HKDL. YOU may want to go to Tokyo DisneySea, but we don't want another same same park in HKDL, it won't benefit us. We NEED unique attractions. It really doesnt make sense to have Disney sea so close to tokyo... Perhaps if disney sea were built out on the westcoast it would be a different story. I agree that marvelworld or land , would be a great second gate to Hong Kong , however my gut tells me they would develop a studio park and just have an area for marvel similar to how disneys hollywood studios in florida has pixar place... I am tired of the studio parks but I think sadly its what disney is going to do. ^^ IMO the Hong Kong site is an even better location for a DisneySea-ish park than the one in Tokyo. There is no reason why it would have to be a clone of the Tokyo park. The version designed for Long Beach (model pictured below) in the early 1990s would be a great fit IMO. But of course I don't expect them to spend that kind of money.